Ingredients: Shea Butter, MCT (Medium Chain Triglycerides) Oil, Phytocannabinoid Rich Hemp Oil, Essential Oils (Peppermint and Lavender). 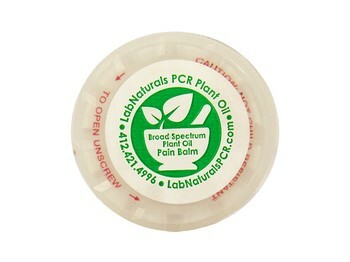 A smooth and spreadable balm applied topically to painful areas like arthritic joints and painful damaged nerve areas. Massage in well as often as needed. Heat the area for a few minutes first for enhanced absorption. Help us further CBD Research! Filling out our questionnaire will help us collect important data about CBD and your experience. Click here to fill out our PCR Questionnaire. Please call (412-586-4678 or 412-421-4996) if you would like further guidance.